Future, Drake and DJ Esco made a mixtape inspired by E.T. Home » Headlines » Entertainment » Future, Drake and DJ Esco made a mixtape inspired by E.T. 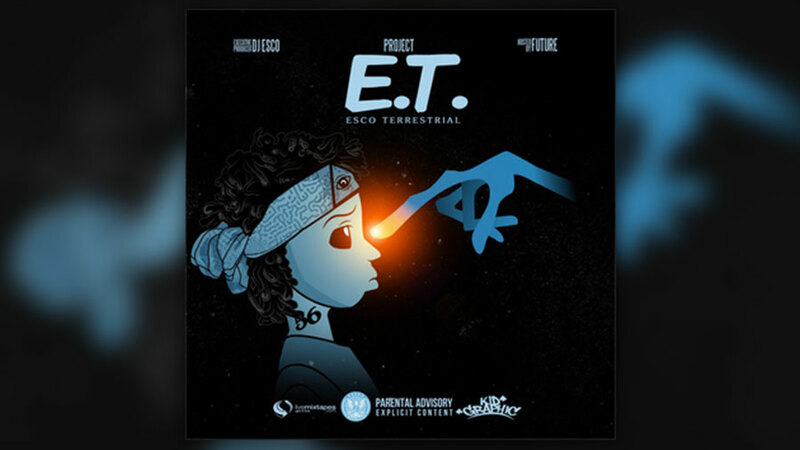 A new mixtape will be released by DJ Esco and Future this summer, based on the popular film E.T. the Extra-Terrestrial, called Project E.T. Esco Terrestrial. In the mixtape, we will find 16 tracks featuring Drake, 2 Chainz, Rae Sremmurd, Young Thug, Rich Homie Quan, Nef the Pharaoh, Lil Uzi Vert, Casey Veggies and many others. The entire 16 tracks are available to listen at the Billboard official web page. Future so far has released only two projects in 2016, but this will be a somehow giant project, considering the number of tracks he is producing with DJ Esco. His name is Nayvadius DeMun Wilburn. The American rapper launched his own label: Freebandz. He’s been active in the rap scene since 2009 and has been working with artists like Drake and Lil Wayne. His album Honest was very popular in 2015, but it was his third album, Ds2 the one that put him in the Billboard 200. Drake was an important part of this album, and his collaboration put Future’s name higher on the list. Future also has been successful with singles, and several tracks received a gold certification by the Recording Industry Association of America. Rapping and singing with Auto-Tune, in a unique style, has made him a popular rap artist. He considered his music as “trap music,” a genre often full of aggressive lyrics while the sound is mostly produced with bass tunes and electronic drums. The American DJ produced a web series called SideShow where he shares with fans across the world his itinerary during the Purple Reign Tour, a tour produced by Freebandz, the label owned by Future. Drake, the Canadian collaborator of the duo, climbed the UK Billboard with One Dance, one of his newest songs featuring Wizkid and Kyla, and kept his position there for the 11th straight week. The only artist who ever did something similar was, in fact, Rihanna, with her song Umbrella back in 2007. “Too Good” is also in the top 5, a song by Rihanna and Drake.